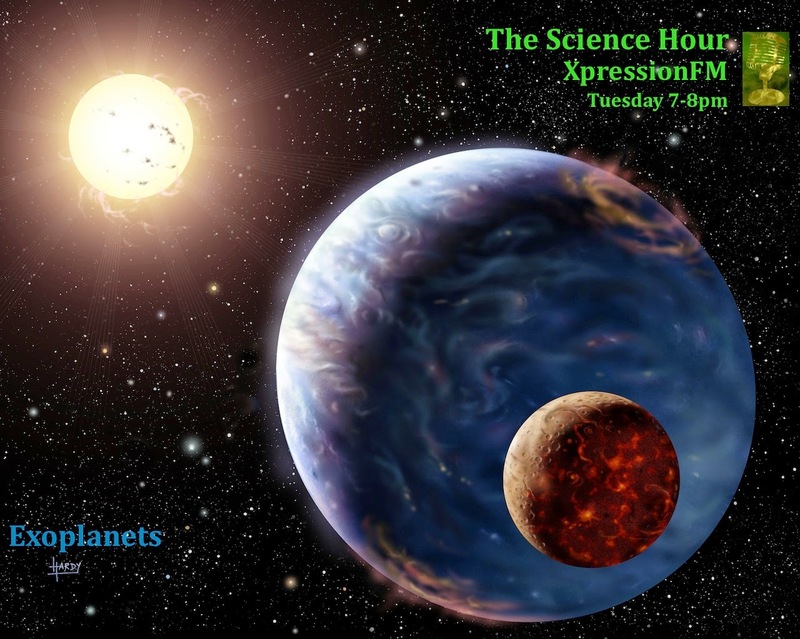 Our S02E09 episode of The Science Hour on XpressionFM was focused on exoplanets and the work that is being done around the world to investigate these strange new worlds. And as such I enlisted the help of twitter to find us the playlist for the show. As everyone came up with so many suggestions I thought I would put together the exoplanet playlist for everyone. Earthbound - Our own little planet has many, many songs written about it but these are two which I think were more radio show worthy, and I just really enjoy the title of the Foster the People song, not much room for interpretation on that one. The Solar System - Again loads of songs to choose from here. The first thing that came to my mind was Drops of Jupiter by Train, but I was pleasantly surprised by the Hendrix - Valleys of Neptune to represent our outer solar system. Detection - The starlight we use to detect exoplanets can be interpreted from these song titles. That's the way I am taking them anyway. As pointed out by one suggestion on Twitter the song 'True Colors' could be used to signify the emission spectra of exoplanets where we are able to detect their true visible color spectrum. Exolanets - This is slightly harder. The word exoplanets has not yet made it into song titles. But these ones can be used as a loose interpretation of alien worlds or planets themselves (though some I assume are referring to our solar system we can give them a broader context here). Random - While the Beastie Boys song does start with the statement 'Intergalactic planetary' and repeats it over and over again for the 'chorus' it becomes a little more abstract on the subject from then on but still warrants a mention. Another song that nicely fits in here is Debutante by 65 Days of Static which was suggested by a friend on Twitter and is a beautiful instrumental track which certainly takes on a spacey quality to it. What's on your Exoplanet playlist?